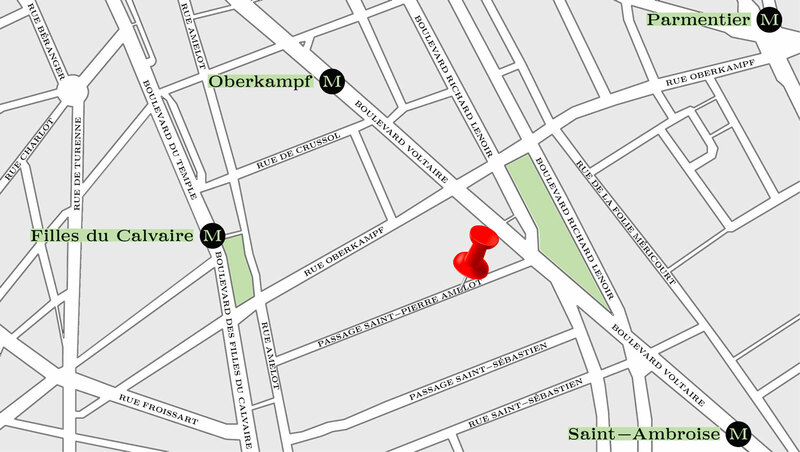 Espace Ness is a self-run studio and exhibition space located in the neighbourhood of Oberkampf in Paris. It has been active since January 2018 and was initiated by Émilie Ferrat, Julie Héneault and Aurélien Potier. Independent graphic designers Émilie Ferrat, Julie Héneault and Sophie Rentien-Lando are currently working at espace Ness and are in charge of the upcoming events and exhibitions that will be hosted there.